We need to staff our Race Committee for the fall! Please Sign up now if you have not already done so. We have decided to move the President’s Cup to Sept. 19-20 (a weekend different than the LLS Fundraiser). More details are provided below. The PRSA Dinghy Open is back by popular demand, and will be held on October 4. I’ve posted more details on these important changes below. Please don’t hesitate to contact your Executive Board if you have any questions. First, we need to staff Race Committee! A glance at the RC Schedule shows that there are a number of weekends (including the President’s Cup, our signature fall regatta) for which we have no RC volunteers. If you and your crew have not already fulfilled your RC requirements, please make sure that you are are signed up for this fall so that we can all go racing. I can’t emphasize enough that RC duty is not just about setting marks or taking scores. An adequately staffed RC is essential for the safety of our racing. If we have weekends when we do not have enough RC to safely race we will cancel racing. President’s Cup Regatta: the 2015 PRSA President’s Cup Regatta will be held on September 19-20. After consultation with our membership and the PRSA Board, we have decided to move the President’s Cup to a different weekend than the Leukemia & Lymphoma Society (LLS) fundraiser. Although LLS is a great cause, management of their fundraiser has changed over time such that it is no longer possible for us to hold a high-quality one-design regatta in conjunction with the LLS fundraiser. ** Holding the President’s Cup—our signature PRSA fall event—on a separate weekend will allow us to devote all of our efforts to hosting a top-notch one-design dinghy regatta this fall. We will have an NOR and additional President’s Cup information available soon. I’m looking forward to hosting a great PRSA President’s Cup, so please make sure to spread the word amongst sailors in your classes at other clubs so that they can save the date! PRSA Dinghy Open: back by popular demand, we will once again host the PRSA Dinghy Open this fall on Sunday, Oct. 4. This one day regatta will be scored boat-on-boat (time on distance) and is open to any dinghy or multihull under 20’ in length. This is your chance to take on boats of other classes 1-on-1 and see whether or not you are truly faster or not! Keep an eye on the PRSA website for more information later this fall. Fall Series: as per usual, we will be holding the regular 8-week fall series. The NOR and SIs for the fall series can be found on our “Regattas & Series” page. Please don’t hesitate to let me know if you have any questions. I look forward to seeing you all on the water this fall! ** the Sailing Club of Washington will be organizing a one-design course on Saturday, Sept. 12 in conjunction with the LLS fundraiser. Separate starts will be held for classes of 4 or more boats. 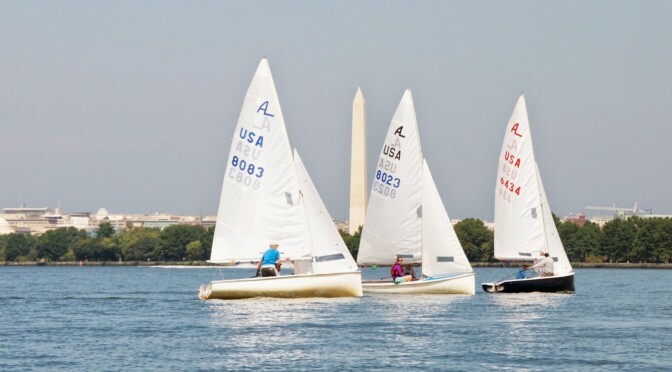 In order to participate entrants will need to register with the LLS at http://www.leukemiacup.org/pages/nca/nca15 and meet the minimum fundraising requirements.